Labor Day weekend is coming up and even though as an event planner I’m usually tackling occasions of a larger scope, I’ve been asked by my good friend Michael Cole to plan a weekend family reunion. Michael is the partner of Evan Thornton, the firm’s landlord, endearing friend, and co-foodie member in the Culinary Capers Dinner Club. They’ve been together for ten years and I predict it’s for a lifetime. However, back to the reunion. Michael’s family gets together every five years in a different part of the country. Last time round it was his aunt and uncle in Sacramento, CA who hosted. This time, Michael and Evan have sent out invitations to over one hundred family members to attend. WOW. The Tanner clan would be lucky to get thirty. But I digress. The plans so far include renting the Haver Farmstead just outside Burlington for the weekend. The main house sleeps twelve plus has spaces for sleeping bags. The acreage can handle umpteen numbers of tents and trailers, and several families are taking advantage of nearby hotels, inns and, bed and breakfasts. Since people are coming from miles away, there won’t be any potluck happening here. They’ve all chipped in on food expenses and I’ve ordered the catering to cover the weekend. Friday night is meet and greet which includes drinks and snacks. Saturday is the traditional treasure hunt and the three of us have had a lot of fun with the plans. A bonfire and fireworks finish off the day. And on Sunday, after a tasty brunch, everyone says their teary goodbyes and heads for home. While Michael, Evan and I collapse. It’s been a lot of fun working on this. I find I’m enjoying planning the smaller parties, reunions, birthdays and anniversarys more fulfilling than large corporate events. The secret is in applying the same principles to them all and, in making sure to have fun while planning. Do you have family plans for Labor Day weekend? Care to share? 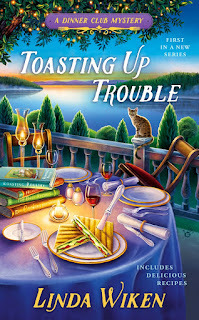 You could be the winner of a signed copy of Toasting Up Trouble. The random draw will be made tomorrow night at 8 EDT. I don't have any plans, really. Maybe I'll read. Always a great idea, Jade! Sounds like a big celebration, Donamae. Enjoy. BTW, my son's birthday is the 7th also. Our family gets together every year and celebrate the ones we lost that time of year. What a thoughtful celebration, Karen. No plans as of yet, but a barbecue usually crops up. Thanks for the chance! BBQs are perfect for Labor Day, Barbara! I think I might just sleep through Labor Day. Having a wonderful visit with 3 grandchildren and 5 great-grandchildren but boy am I tired! They leave in a week or so, and I think I'll be catching up on my sleep for a while. How wonderful a visit! That sounds like a plan. Thanks, Nicole. Enjoy your day. No big plans as yet but I am sure the family will be over. Family is always great on a holiday, Debby! How exciting, Dianne. Congratulations and enjoy! I didn't know that! Thanks for commenting, Carol. That does sound like a plan! We don't have any plans for Labor Day. We'll probably just relax. Enjoy your day of relaxation, Sandy! 61 years ago Labor Day fell on Sept 5th. That was the day I was born. Labor Day took on a whole new meaning for my Mom. Lol but I don't any plans this year. I could really use your book to read. Thank you for this opportunity to win it. Happy upcoming birthday, Yvonne. Yes, Mom's do know the meaning of the word labor. We will be getting together to celebrate my mom's 94th birthday and my grandson's 4th birthday. What a great spread in ages. Enjoy! Reading always goes well with a day off. Since it's just me and the hubby, I think we'll probably just cook some hamburgers and hotdogs , with potato salad and devilled eggs for dinner and relax. Sounds yummy, Cynthia! Great for summer. We usually don't have cookouts on the weekend because we try to take that time to do yard work or do things that need to be done in the house. We are going to a concert thought and I'm excited to see them again, the B52's. Such a fun band. That concert should be exciting. Enjoy! We always cook out for Labor Day! Chicken or ribs, depending on the sales! Thanks for the chance to win! Labor Day weekend is often my mom's birthday and our state Fair ending weekend so it's typically busy with fun things all around! This year is no different. Celebrating and ride riding, fair corn dogs and cotton candy! Thanks for the chance to win! What a fun holiday. Birthdays always add a lot, too. Enjoy! There's a terrific parade on Labor Day in Rock, Michigan, followed by a carnival! I love a parade! Great for the holiday. No plans as of now but that could change! No plans at all for Labor Day weekend. We live in a tourist town---so we'll probably just hide from all the tourists and wait until the weekend is over to enjoy our great area. Sounds like a good idea, Sue! I hope you're able to enjoy the day together. Best wishes to your husband! Don't have any plans for Labor Day weekend. get in their last weekend boating. No family close except my husband. Since it's my birthday I hope for dinner out. no family get together anymore but have a friend at work that has taken my daughter and I as family for holidays..so thankful for her and her family to include us..
No plans, our family is a few states away and our immediate family here all works at various hours, we will probably throw some hot dogs on the grill and we can make a plate for when we pass through, LOL. These are times when it is hard being away from home and hearing the rest of the family getting together...it's not so hard when you hear them all squabbling about something though, LOL. Kids will be back in school, so we can't go too far. We'll probably just have a cookout in our backyard. Not very adventurous, but when our families come over, anything can happen! =) konecny7@gmail(dot)com Thank you for the fun giveaways! Have a safe and fun Labor day!! No plans for me. Happy I finally have a job that gives me holidays off. Odds are I'll be reading and relaxing at home! In my family, Labor Day used to be the best picnic weekend and last day of summer vacation. We'd get together at the park with everyone bringing their signature dishes; I'd always bring a vegetable try and gooey chocolate chip cookies (they cancel each other's calories, ya know). After a wonderful meal, we'd take the little ones to the zoo or the little carnival...my dad would always take the time for a nap under the oak trees. Now...my summer vacation concludes at the end of July, school starts the first week in August, and Labor Day is just another 3-day weekend. I am retired now, the little ones all grown up, and dad is gone, so Labor Day is just another day. We usually have a BBQ, but this year. I a want a more relaxing day. I have been sick and overworked at work, some quiet time is in order. We have no plans as of right now. 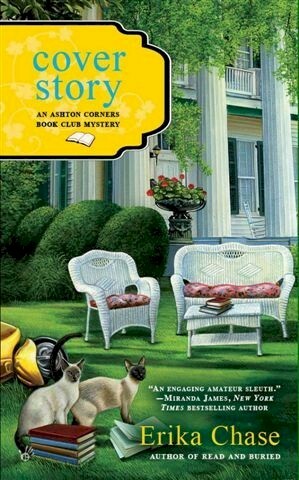 I anticipate barbecuing and reading, perhaps some yard work too. no plans. it's dialysis day so that's my fun for the day. seems like a lot of holidays fall on Mondays, so that's what I do. yay. As of now, we do not have Labor Day plans. Since hubby is a pastor, we wiLl spend Sunday at home, so with just the one day, we might just go to a movie. No big plans for Labor Day as of right now. Probably just chilling out around the house and a BBQ. Just relaxing, maybe a cook out. We could use a relaxing weekend. Thank you for the chance! We are moving across the country. We will be closer to family, which is both wonderful and challenging. We are moving due to a severe family illness, but it will be nice to be together. Time is too short to not be together whenever possible. Sounds like my kind of read. 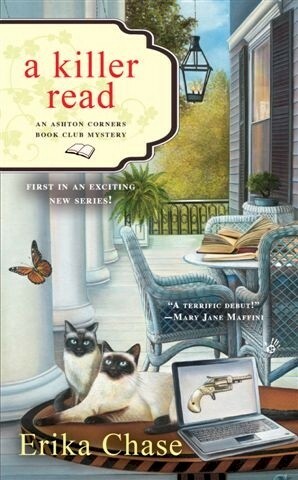 Love cozy mystery. I don't have family plans for Labor Day weekend because I will be in Romania. Friends are coming down for Labor Day and we'll eat out...thank you for the contest..
No family plans for Labor Day. We'll be spending the previous week in the Finger Lakes Region of NY State. I have a husband and wife pair of cousins buried in the National Cemetery in Elmira. I'll be paying a visit to their graves. They were both Army and both "Lifers". He served in three wars earning a Purple Heart and a Bronze Star. We'll be in Corning, Watkins Glen and other spots checking out the area. We'll be returning home Monday of Labor Day. We don't have plans yet, but yours sound like lots of fun. I love getting together with the family. I hope I am reading this book over Labor Day weekend. Always a fun holiday event, Charlene! Enjoy. Hope it all works out, Doward! No plans for the weekend. No plans so far. Thanks for a chance to win this great book. Since I. Just came home from hospital a relaxing week end at home READING is my plan tight now!! I hope you will be relaxing and getting better! Reading is always helpful when healing. Good day for a birthday celebration! Thanks, Kuzlin. Good luck with the dogs! Labor Day used to mean seeing my aunt and uncle and getting ready for a new school year! Now that schools go back earlier, it is just a lazy day! 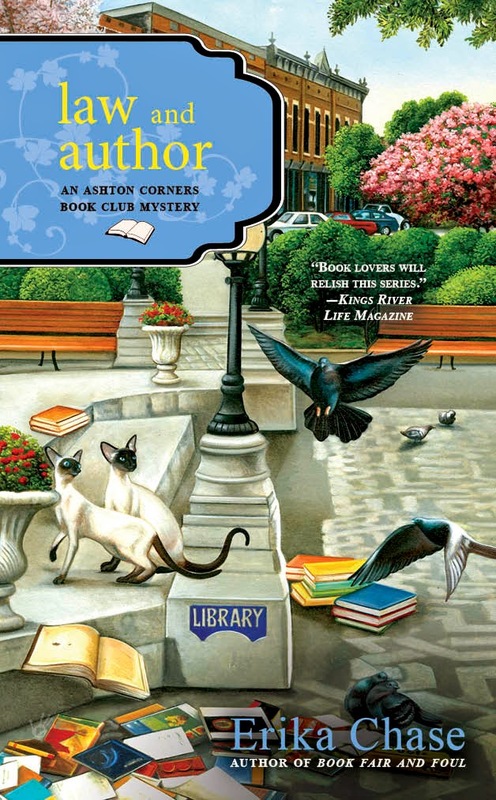 I just finished reading and reviewing (Goodreads) Law and Author! 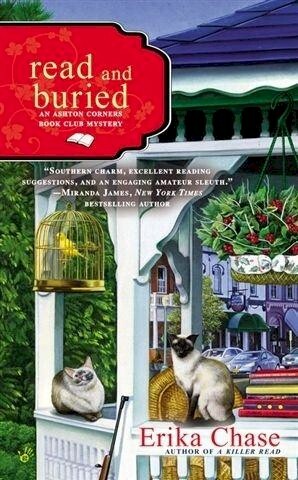 Fun book! Thanks so much, Linda! Hope you have a relaxing day. Sounds like you'll enjoy it. Hope so. Usually we have a family barbeque on Labor Day. Since we are retired in FL and 3 of our 4 children live up north, we spend a nice quiet day at one of our beaches and then we go to dinner at the restaurant just up on the boardwalk above our beach. No special Labor Day plans but as my family becomes more far flung the thought of a periodic reunion is very intriguing! 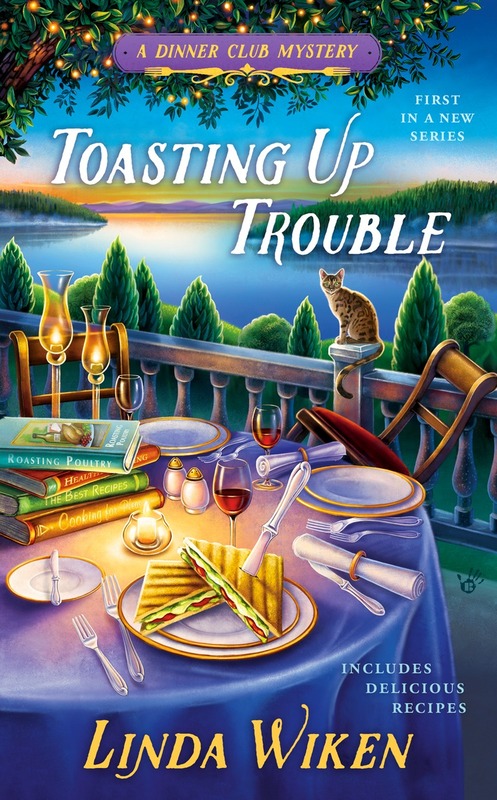 Thanks for an opportunity to win a signed copy of Toasting Up Trouble!! No special plans although our son is coming with his family from Mich so we are excited about that . Plus by then we should be canning so hoping that he can take some of the canned tomatoes home with them! No plans yet. I'm usually volunteering at the cat rescue on the weekends.